But in the last months, we started to notice situations between contributors. What would we do when someone starts using bad words repeatedly? Some members of Pepper&Carrot's audience are quite young. Who would we contact in case of an act of racism or sexism? How to manage if we would have someone coming to our cool place with bad feelings? How to proceed to moderate this type of situation? In order to answer these questions, two months ago we decided to start the quest to adopt a Code of Conduct. Craig Maloney (who leads the Pepper&Carrot Wiki, proofreads the English webcomics and helps at script doctoring) took this task upon him and invited the community to interact with his proposal of a CoC on Framagit. The thread, of course, quickly became a long debate and you can still read the archived comments of our internally famous issue 21 on Framagit. "Hereva brings together a myriad of diverse creatures and cultures. Dragon Cows fly overhead, while fierce Phandas lurk in the forests. Spider Admins create a literal web of connectivity, and uplifted ants build rockets to explore their environment. We welcome this diversity in our own community, and bring our own unique backgrounds and preferences to help build this world. We recognize that we are all unique and we respect and celebrate that uniqueness in each of us without diminishing the uniqueness of others. We are committed to providing a friendly, safe and welcoming environment for all." You can read the full version of our Code of Conduct in the documentation section of the website. Again, thanks a lot to Craig for writing this text and for the great management during the discussion phase. I'd also like to thank all the contributors who gave feedback on this text. It was mentally exhausting but we still managed to keep discussing with, as Craig put it, exemplary kindness. Craig Maloney, Midgard, Valvin, and I are now the four moderators of the Pepper&Carrot project and you can check our profile and contact us on the moderator page. I've always seen unique kindness, peace, and a good mood in the P&C community since the beginning. Let's hope the CoC will help us protect it for years to come! License: CC-BY David Revoy, www.davidrevoy.com, 29 november 2018 . Like most attempts at codifying human behaviour, this suffers from scope creep. Almost all the rules apply to an explicit list of project spaces, which is great. However, that does not apply to the private harassment rule . Taking into account the fact that the definition of harassment is not the standard definition (namely, "repeated unwanted communication") and instead includes other things ("we don't tolerate behavior that excludes people in socially or ethnically marginalized groups"), we arrive at the conclusion that private consensual communication in an unrelated space can be against the P&C rules. More concretely, this implies that playing a game of Cards against Humanity with your friends or posting on 4chan's spicier boards should get you banned from Pepper&Carrot. I think, or at least I hope, that wasn't the intent of the rule. As a more minor nitpick, the scope rule in  is either redundant or contradictory with the one in . 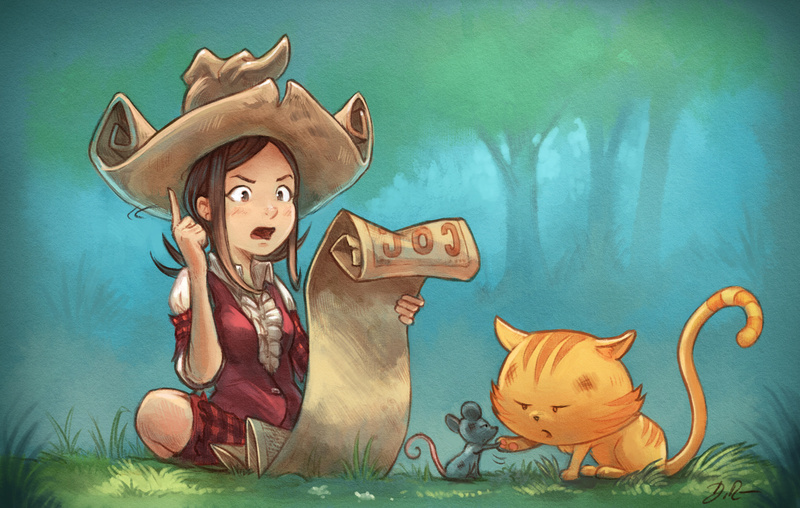 If a group of fans were to create their own private community about Pepper&Carrot ("communication related to the project") that uses sexual language and so on, are they in violation of rule  and are they to be kicked out even if they kept it PG-13 in the actual project spaces? "We will exclude you from interaction if you insult, demean or harass anyone. That is not welcome behavior. We interpret the term "harassment" as including the definition in the Citizen Code of Conduct (archive link); if you have any lack of clarity about what might be included in that concept, please read their definition. In particular, we don't tolerate behavior that excludes people in socially or ethnically marginalized groups." "Private harassment is also unacceptable. No matter who you are, if you feel you have been or are being harassed or made uncomfortable by a community member, please contact one of the channel ops or any of the Pepper&Carrot maintainer team immediately. Whether you're a regular contributor or a newcomer, we care about making this community a safe place for you. We have your back." "The enforcement policies listed above apply to all official Pepper&Carrot venues; including official communication channels (#pepper&carrot on Freenode, Telegram, Mattermost, Framateam, etc. ); GitLab repositories hosted in the Framagit peppercarrot group; and all forums under peppercarrot.com." "The use of overtly sexual language, nicknames, or imagery should be avoided in online communication related to the project." That's a good point, and likely something that may require an issue on our Framagit repo to clarify. One thing I'd like to elaborate though is that if someone is harassing someone in private and it makes it back to the Pepper&Carrot project then we'll need to act accordingly. What happens on your time is yours, but if it happens in the name of Pepper&Carrot then this CoC will apply. This document is also a living document and will be modified and ratified by the P&C community. I think this could work, at least in project spaces so far. "Copyright © 2018 Free Software Foundation, Inc. This page is licensed under a Creative Commons Attribution-NoDerivatives 4.0 International License." So we can't modify them for our community if needed. Eep, I mean CC-BY-ND, not NC. The linked Code of Conduct from citizencodeofconduct.org is showing a database error (currently). Is that a static thing or is it something that changes? Is there any way to include that code without it being by reference? Was changing "socially or ethnically marginalized groups" to any class of people ever discussed? The Code of Conduct has a link to the archive.org page next to the link to the Citizens Code of Conduct. The code of conduct as a whole was discussed in issue #21, linked above.